Well, Greg Knox, you redeemed yourself in those final seconds. I was so ready to rip Greg to shreds, thinking he fell for the oldest trick in the book, but it looks like I underestimated him. Or maybe I overestimated Angela. It's just I've seen her use her sexuality to her advantage over the course of three seasons and I thought she was fooling Knox. 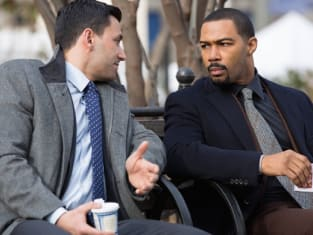 But alas, they are both just playing one another, as was the theme on Power Season 3 Episode 8. There was a whole lot of lying and backstabbing going on this week and things are headed towards a very messy finale. I never thought I'd see the day when Tommy is the person giving Ghost a pep talk and imploring him to calm down, but that's where we are right now. Ghost is without Angela, basically estranged from his family and working for a psychopath, so it's understandable that he's a little spooked. Add to that the problems with his business and a visit from the Office of Professional Responsibility and you could say Ghost is having the worst week ever. His number one agenda right now seems to be ridding himself of Milan, who is truly a menacing figure. This dude has no problem ordering someone's murder or killing someone himself. And if that's not scary enough, the guy also has a knack for manipulation. Milan is slowly capitalizing on Tommy's beleaguered emotional state and trying to fully turn him against Ghost. I like to think Tommy is just playing along with Milan, but I am seriously having my doubts. I know a lot of the lies Ghost's tells are to protect the people he cares about, but obviously they don't know that. Ghost has lied to Tommy repeatedly and at this point, I almost don't blame Tommy for turning on Ghost. When they were discussing things in the car, I so desperately wanted Ghost to just be straight up for once. Tommy was giving him an opening and Ghost just refused to take it. Had he confided in Ghost, I honestly believe Tommy would have confided in him. These two take relationship drama to a new level, I swear. Angela is off trying to clear her name and to do so she had another epic meeting with Tasha and even got to share some screen time with Tommy! Tommy elevates every scene he's in and seeing him and Angela go head to head was something I never knew I needed! I love that in order to clear her name, she needs to "work" with Ghost, Tommy and Tasha. Bringing the four central characters together to share a common goal is a great twist to this season. All we need now is all four of them together at the same time! Angela's discovery that Ghost was with Tasha at the hotel the day of Lobos's murder was the catalyst that lead her to Knox's apartment. I know Angela was playing up the hurt, but it's evident she is devastated about the possibility of Ghost and Tasha being anything besides bitter exes. And Ghost wasn't very slick hiding his disgust at seeing Angela and Knox together. What happens next will be very, very interesting. Angela seems to be wearing a wire now, but what's her end goal? I knew there was reason Tariq became a thing this season! Kanan is befriending him and is going to use him to bring Ghost down. I didn't think Kanan would kill him, because that wouldn't make sense to the story right now. But I still believe that Tariq is going to bite the bullet at some point. Right after Ghost finds a way to free himself from Milan, Kanan is going to sweep in and crush his soul. Speaking of Kanan, he is still the absolute worst. And I'm going to need Dre to stop playing scared and tell Ghost what's going on! I know Dre is protecting his daughter but Ghost has done nothing but look out for him and this is how he repays him? Ghost can help you dude! Ghost is drinking again, as he gathers intel on Milan. We've heard about Ghost's previous drinking problem but this is the first time we're really seeing him drink. I'm thinking this will have implications down the line. Do we actually think Tommy killed Keisha? If I don't see someone get killed, then I don't believe it. 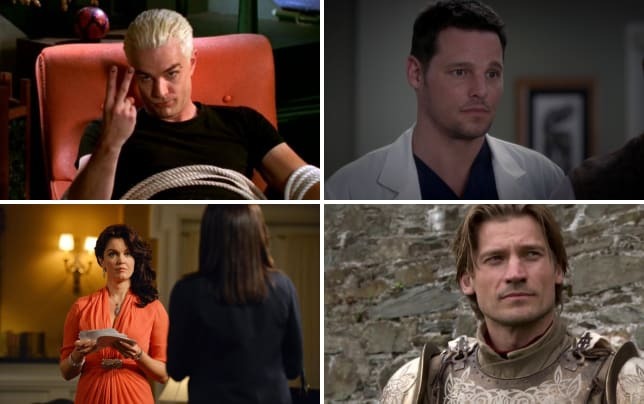 We are creeping ever so close to the end of season three and I'm predicting a very bloody conclusion. Things are going to come to a head and I want to hear your predictions! Whose side is Tommy really on? What is Ghost's next move? Will Knox bring Angela down? Drop me a comment down below and let's talk it all out! 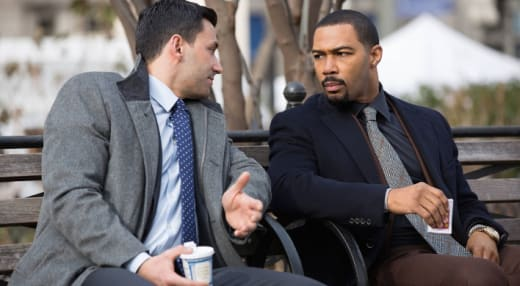 And remember you can watch Power online via TV Fanatic anytime!